The Japanese American National Museum, 100 N. Central Ave. in Little Tokyo, presents the Los Angeles premiere of “The Ito Sisters: An American Story” on Saturday, June 16, at 2 p.m. The screening will be followed by a Q&A with writer, director and producer Antonia Grace Glenn, along with UC Berkeley scholars Evelyn Nakano Glenn and Michael Omi, who are featured in the film. 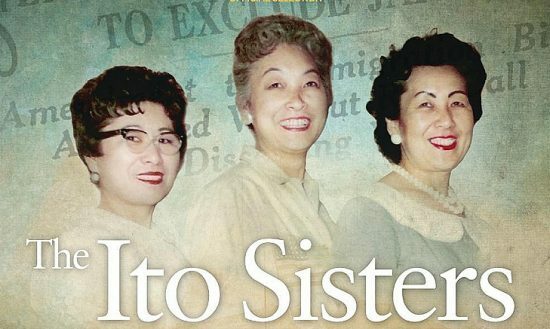 & Film Festival and an official selection of the 2018 Sacramento Japanese Film Festival and the 2018 Women’s Film Festival San Diego, “The Ito Sisters” captures the rarely told stories of the earliest Japanese immigrants to the United States and their American-born children. In particular, the film focuses on the experiences of Issei and Nisei women, whose voices have largely been excluded from American history. The three sisters at the heart of the film – Nancy, Lillian and Hedy – are memorable and engaging characters, who in their 80s and 90s share stories of humor, hardship and heartbreak, dating back to their father’s immigration from Japan to the U.S. in 1897. They offer a rare first-hand account of their family’s struggle to become American, in the face of a series of natural and man-made disasters. The family’s chronicle is set against the backdrop of the Anti-Japanese Movement, a 60-year campaign by politicians, journalists, landowners and others that culminated in the forced removal and incarceration of more than 120,000 Japanese Americans from the West Coast during World War II. Edited and produced by Gregory Pacificar, with original music by Dave Iwataki, the film also includes scholar commentary from Dorinne Kondo of USC and Jere Takahashi of UC Berkeley. For more information about the film, visit www.itosisters.com. This event is free for museum members and included with general admission for non-members ($12 for adults, $6 for students and seniors). Reservations are strongly encouraged. For more information, call (213) 625-0414, email [email protected] or visit www.janm.org/events/2018/06/16/itosisters/.